For the most part of December, I was in Toronto. And for the most part of December, it was snowing in Toronto. And as long as one looked at it from within the warm interior of the home, the snowscape was so beautiful! Being housebound has its plus points too… one can take up any of those projects filed away for ‘one of these days’… or one could bake! On a cold day what could be better than the fragrance of sugar and chocolate and warm caramel wafting through the house? 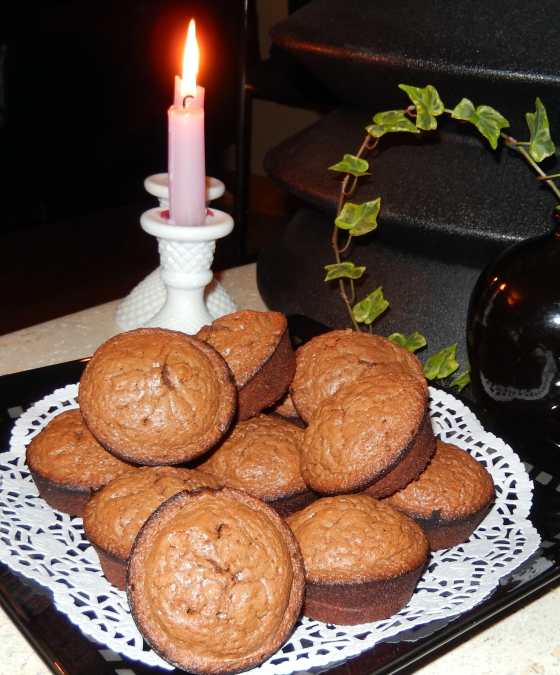 So that is what I did… baked brownies! And brownie goodness is something that one needs to spread around. Distributing brownies to friends is not only good karma, but good calorie control strategy too! 🙂 And one of the friends who tasted the brownies wanted the recipe. No recipe can be complete without some pictures. So just to get some pictures, I decided to bake some today. Beginning of a long relaxed weekend, what better time to mess around in the kitchen! 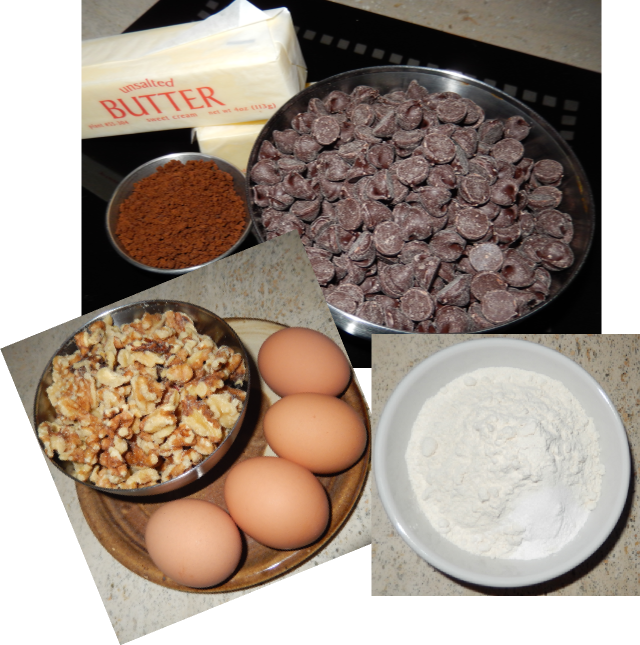 Mix butter and chocolate in a double boiler or in a pan over simmering water. When fully dissolved and smooth and shiny, remove from the heat and allow to cool. Dissolve the coffee in two tablespoons of warm water. Beat the eggs with sugar, dissolved coffee ,and rum, if using. Add the cooled chocolate mixture and mix well. 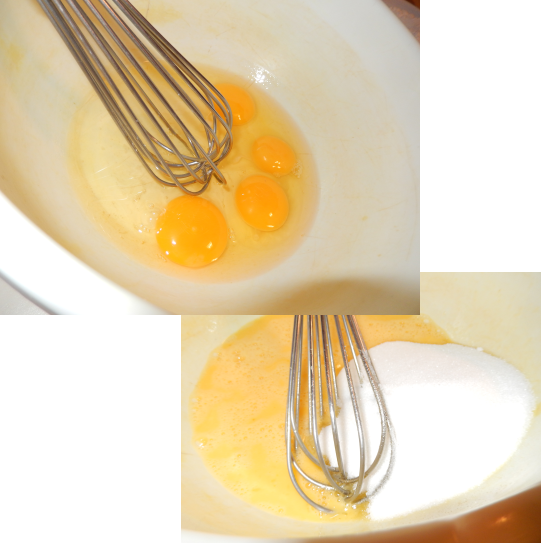 Add the flour in batches and incorporate into the mix. Add the walnuts. 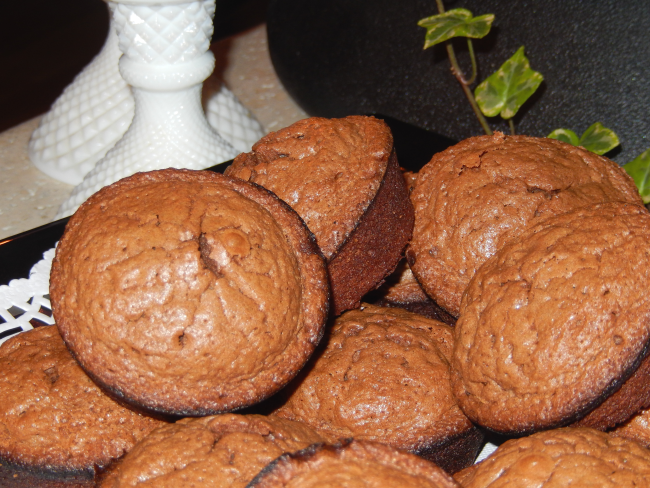 Spoon into the cupcake pan and bake for 18 to 20 minutes. 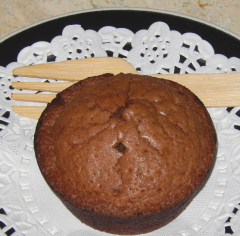 The brownie cakes are done when a skewer inserted into the center of it comes out clean. Cool in the pan for five minutes before grabbing the brownie cakes.